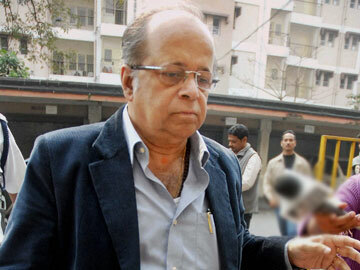 Kolkata: Former Supreme Court judge AK Ganguly, indicted of sexual harassment, has quit the guest faculty of a prominent law college in Kolkata. However, he has so far not resigned as Chairman of West Bengal’s Human Rights Commission. Chief Minister Mamata Banerjee has written to the President of India seeking his removal. Last month, a committee of three Supreme Court judges found him guilty of sexually harassing a woman intern from NSUJ at a five-star hotel in Delhi in December 2012. He has denied the allegations, and challenged the committee’s findings in a letter to the Chief Justice of India P Savasitham. The cabinet has cleared a request for a Presidential ordinance on the controversy, which could help in forcibly removing him from his post at the Human Rights Commission. The president would formally request the Supreme Court to submit a report on the controversy to him. If the court indicts the retired judge, the process for his removal would begin. In November, a young woman lawyer blogged that she had been sexually harassed by a retired and unnamed Supreme Court judge. She said she had been interning for him through the NSUJ in Kolkata. The Chief Justice of India then appointed three judges to hear her account as well as the testimony of Justice Ganguly.